First, Times Internet-owned Gaana announced that it had received an investment of $115 million (Rs 748 crore) led by Chinese internet conglomerate Tencent. On the same day, e-commerce giant Amazon launched its flagship music streaming service — Amazon Prime Music — in India. Nearly a dozen players are now striving to establish an early leadership position in a market that still a long way from offering even the slightest glimpse of its true economic potential. That said, an opportunity does exist. The Indian music industry is continuing to shift towards digital consumption on the back of cheaper data and smartphones, better digital infrastructure and curated playlists on digital platforms. 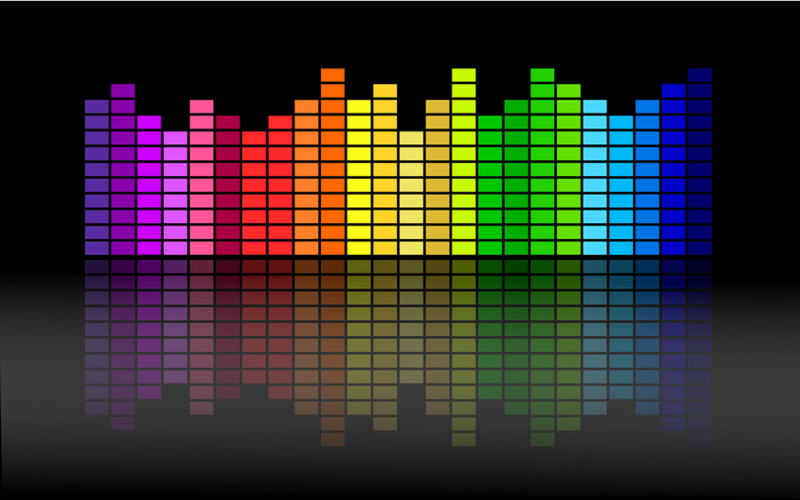 Digital music now generates more than 70% of the music industry's Rs 1,200 crore-odd revenue annually, according to estimates mentioned in the 2017 Indian Media And Entertainment Industry Report by KPMG India and the Federation of Indian Chambers of Commerce and Industry (FICCI). The report further predicts that the country's music industry will grow to Rs 2,540 crore by 2021 at a compound annual growth rate of 15.8%. "One of the key trends is that digital subscription in India is growing rapidly," Ashish Pherwani, partner and M&E advisor at EY India, told TechCircle. "Content is increasingly consumed on phones and is more personalised. Unlike a cable connection that served a whole home, an app subscription serves only one individual and hence the market is bigger." Pherwani estimates that the market could be as big as 100 million users. Homegrown offerings such as Saavn, Gaana, Hungama, Wynk, Jio Music, Raaga and BookMyShow's Jukebox are pitted against Google Play Music, Apple Music and now Amazon Prime Music. Recent reports also suggest that Swedish music streaming service Spotify, which is set to go public in the US, will launch in India soon. Early evidence suggests that standalone is not the way to go and music should be part of the bigger picture. Telecom players such as Reliance Jio and Airtel operate integrated on-demand entertainment services such as Jio Play and Wynk respectively to capitalise on their distribution reach and promote data usage. Amazon, Google and Apple are also bundling music with other services on their platform. This helps them bring a greater degree of stickiness as music is frequently consumed and can also be used as a hook to expand their other offerings. "Even if we take TV as an analogy, we don't see so many independent music channels becoming successful without being part of a bouquet offerings," said Frank D'Souza, partner and leader-entertainment & media at PwC India. "You can no longer look at the economics of an offering in isolation because in some instances, music may be a loss-making arm but an essential part that helps businesses complete a bundle of offerings." But most homegrown apps such as Saavn, Gaana and Hungama are competing as standalone services against international players like Google, Apple and Amazon. Google Play Music is bundled as an app within the Android operating system while members of Amazon's premium subscription offering, Prime, get access to video, music and faster shipping. Apple has been successfully able to bundle its music service trials with its popular flagship devices and also offers an Android app. Most music streaming services are similarly priced. Gaana, Saavn, Airtel's Wynk (non-Airtel subscribers) and Google Play Music all price their subscriptions at Rs 99 per month. Wynk costs Rs 49 per month for Airtel customers. Most of these apps offer a 15-20% discount for taking an extended subscription in advance. Amazon Prime Music is part of the annual Prime subscription which costs Rs 999 (effectively Rs 80 per month). Apple Music is available for Rs 120 a month. All these allow their paid subscribers to download music in addition to streaming. Gaana claims to have crossed 60 million monthly active users while Saavn has 22 million users (including a significant diaspora audience). Piggybacking on Airtel’s strong subscription base in India, Wynk has a potential reach of over 300 million consumers. According to a recent report by the Wall Street Journal, Apple Music now has 36 million subscribers globally as against Spotify’s 71 million paid user base. As for Amazon, its booming Prime membership pool means it will be strong enough to make a dent in the customer bases of rival music streaming services as well. But are these large user bases translating into revenue? “Most of the consumers of Gaana, Wynk and Saavn are not paid subscribers [they use ad-backed free streaming] and the revenue accrued from paid subscriptions will be in single digits," said Jehil Thakkar, partner at management consulting firm Deloitte India. Thakkar said that music streaming remains a small segment and he expects the players to lose money till they start charging. “Music has always been free, on radio and TV. Therefore, making people pay for music is difficult for any service in India," said Karthik Srinivasan, National Lead of Social@Ogilvy at Ogilvy India. He, too, believes that large companies offering a bundle of services are likely to succeed in the long-term in India. "All these platforms are trying to offer music as a hook. They may even offer music for free as a start along with their other services, but would eventually start charging for music as the market matures. It's going to be fairly difficult for standalone players to convince Indians pay for their independent music consumption,” he added. Money aside, the game is also about differentiation. And acquiring rights to diverse artistes and labels can only go so far. “The companies with best pricing and user interface will win over the market as the collection will be more or less the same once these platforms grow bigger,” said EY India's Pherwani. Pherwani said the large pool of players could lead to consolidation but it will be tricky business given that most players are backed by big companies. Tencent Music Entertainment (TME), the Chinese firm’s subsidiary which manages its music streaming and karaoke services, is also an investor in IPO-bound Spotify. Tencent could hypothetically orchestrate a partnership between Spotify and Gaana to take on the global giants in India. For now, originality might be one way to stand out. Both Gaana and Saavn have already ventured into original music production while Amazon Prime Music said it plans to do the same in India, just as it has done with video.